#2011 is theme for photographic blog. 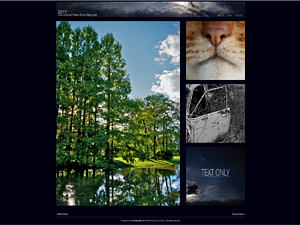 this supports vertical and horizontal images and automatically switches its style sheets at top page. the square image will be generated, too (no needs server disk space). *i will send you zip file to your account email address.